Sherri and Paul Johnson are life-long residents of Lincoln, graduating from Southeast High and East High respectively. They have seen how Lincoln has evolved over time and are committed to preserving what is best in Lincoln and its neighborhoods. Sherri earned an Associate of Business Degree from Southeast Community College and is owner of SJ Bookkeeping Services, Inc., which serves a growing list of businesses and independent business owners. Paul earned a BS Business degree from Nebraska Wesleyan University and an MBA from the University of Nebraska. He is a computer analyst and accounting professional at the Lincoln CPA firm, Watts and Hershberger, PC. preserving the quality of their neighborhood. They volunteer in their neighborhood association and in 2012 completed a multi-year renovation of a run-down East Campus neighborhood house and created The Johnson Guest House for extended stay visitors. 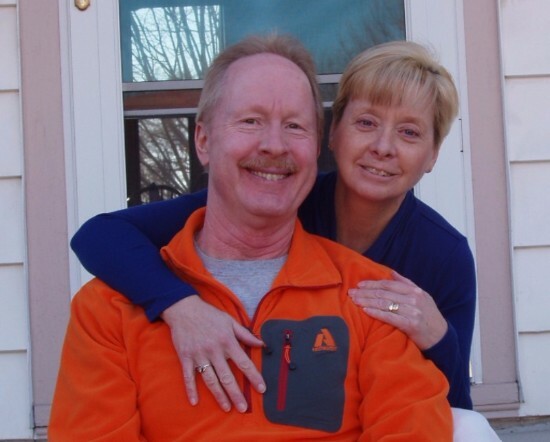 At their passing, Sherri and Paul plan to gift a portion of their trust to the Foundation for Lincoln Public Schools. They hope their gift will provide LPS students greater equity especially in areas such as arts, sports, and advanced certifications, so more children can overcome financial need to maximize their talents.